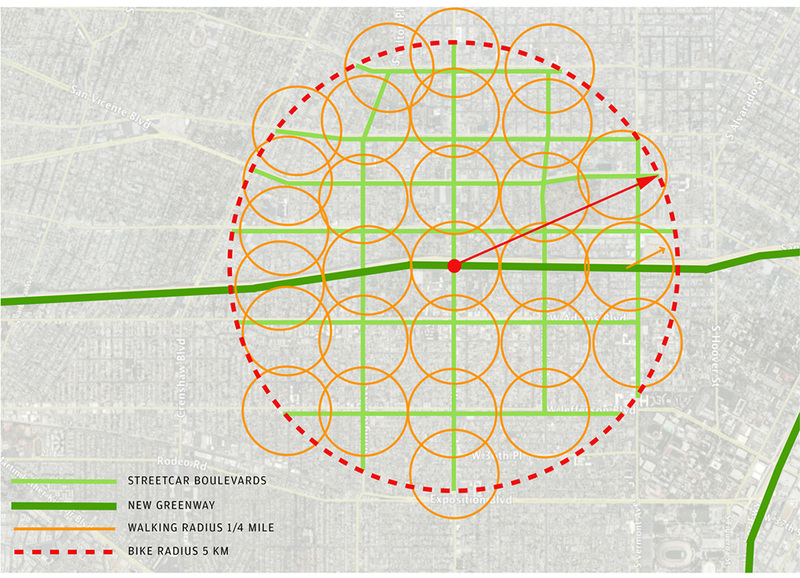 John Dutton presented his award-winning proposal for the transformation of Los Angeles freeways into a new network of Greenways. 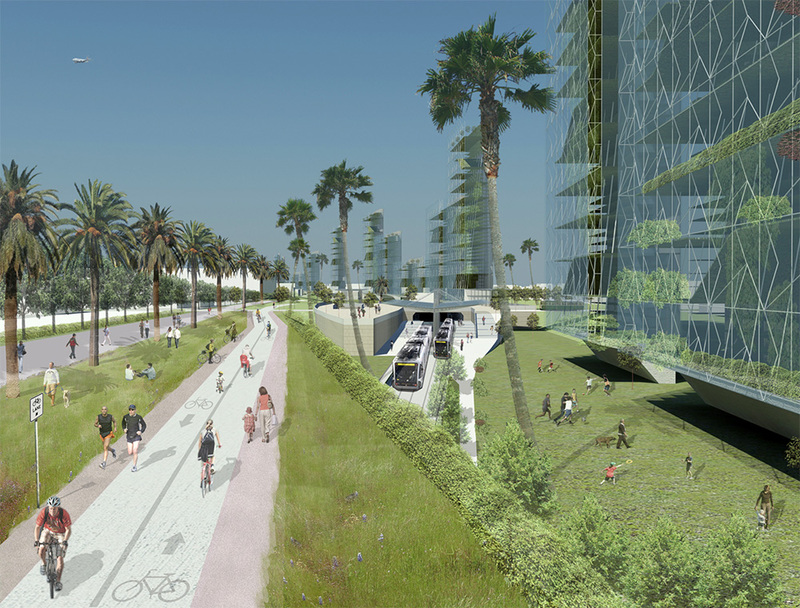 In place of the ribbons of freeway concrete will be transit, bike lanes, recreational parks, community gardens, multi-modal stations, and vertical gardens. 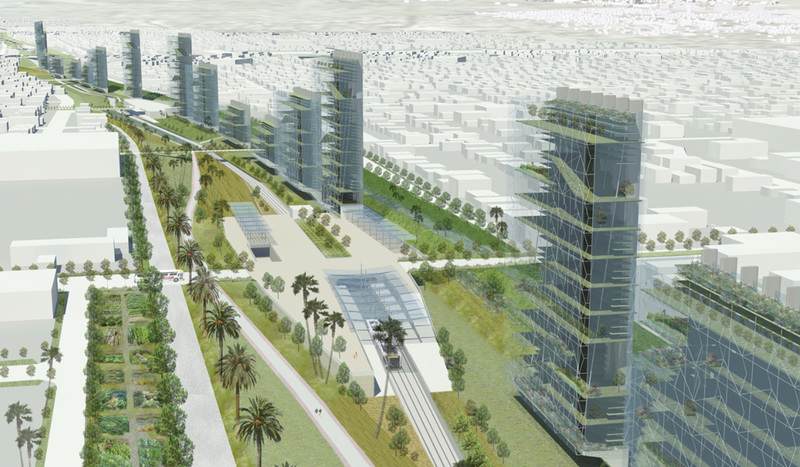 The proposal features multi-modal stations at the main intersections and former on-ramps, in this case at the Santa Monica Freeway and Arlington. These new stations are conceived as public plazas which would be the terminus for a new street car system, and link to a fixed rail system occupying the old freeways. There would also be shared-car parking, bicycle sharing stations, and of course access to pedestrian walkways. With such a system, we believe that most Los Angeles residents would have access to fast, efficient public transit, and would severely limit the amount of cars, traffic, and pollution in this city.